Toba volcano has produced the largest known volcanic eruption on earth during the past 2 million years. About 74,000 years BP, more than 2500 cubic kilometers of magma were erupted. The eruption led to the final formation of one of earths largest calderas, the 35x100 km wide Toba caldera. Eruptions of this size are exptremely rare and are called supervolcano-eruptions. The Toba caldera is in fact the Earth's largest Quaternary caldera. It was formed during four major Pleistocene ignimbrite-producing eruptions beginning at 1.2 million years ago and culminating with the colossal Young Toba Tuff (YTT) eruption about 74,000 years ago. The YTT emplaced about 2500-3000 cu km (dense rock equivalent) of ignimbrite and airfall ash from vents at the NW and SE ends of present-day Lake Toba. After the YTT eruption, resurgent doming formed the massive Samosir Island and Uluan Peninsula structural blocks. 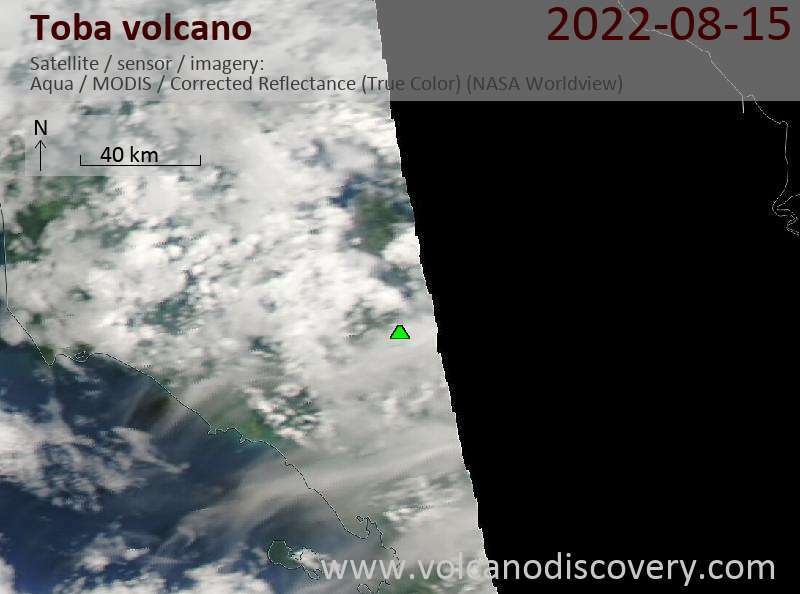 Additional post-YTT eruptions include a series of lava domes, the growth of the solfatarically active Pusukbukit volcano on the south margin of the caldera, and the formation of Tandukbenua volcano at the NW-most rim of the caldera. 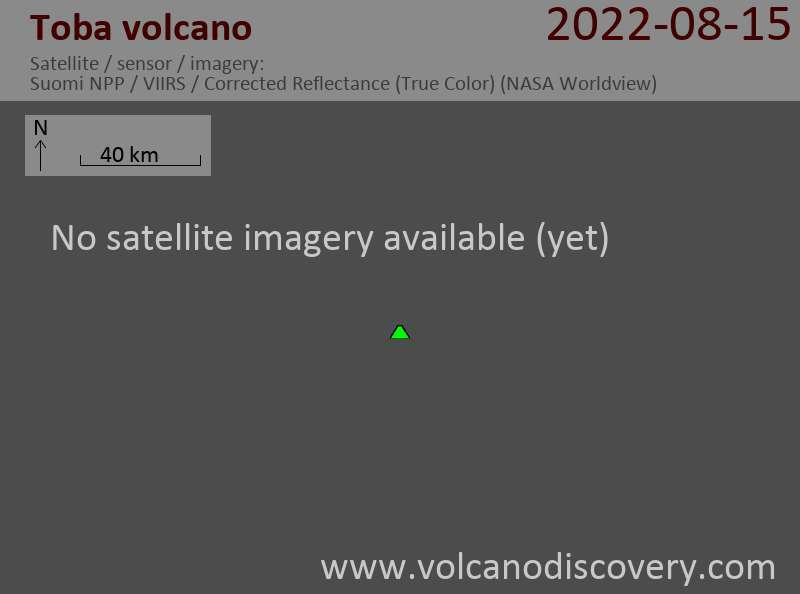 Lack of vegetation suggests that this volcano may be only a few hundred years old.